Press ‘Internet Activities’ tab, to view visited website urls, temp files and cookies. 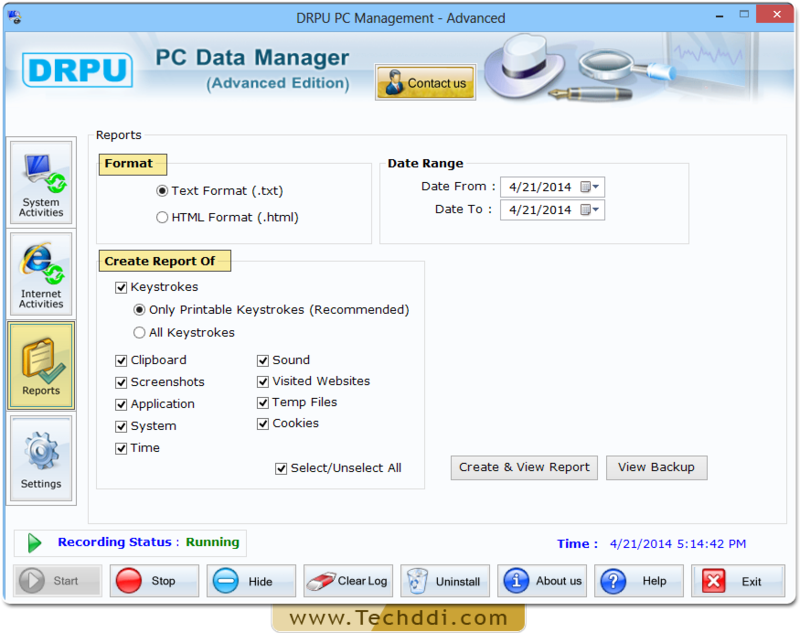 To create report of keystroke activities, set format, date range and other attributes. Go to settings option, to do general, email, log, FTP and security settings.